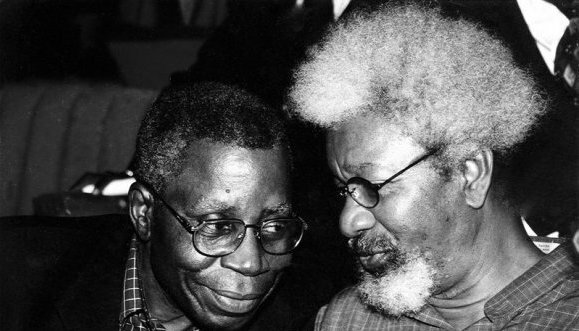 Nigeria’s Nobel Laureate, Wole Soyinka, on Tuesday alleged that the Olusegun Obasanjo administration ‘protected’ those who murdered Nigeria’s former Attorney General of the Federation and Minister for Justice, Bola Ige. Soyinka, playwright and social critic, made this known in a statement on Tuesday titled “Trivialise Corruption, Neutralise Justice”, issued in his capacity as convener of Citizen Forum. The statement comes against the background of the crisis rocking the judiciary following the controversial suspension of the Chief Justice of Nigeria, Walter Onnoghen, over his failure to declare his assets. Soyinka, who said impunity reigns where there is no justice, explained that the present crisis in the judiciary shows that the nation and its leaders did not learn from the murder of the late Bola Ige and “the manner investigations into his death were handled”. Ige served first as Minister of Power and later as Minister of Justice under Obasanjo, who governed Nigeria between 1999 and 2007. He was murdered in December 2002 in his home in Ibadan, the Oyo State Capital. Soyinka said Obasanjo’s government knew the killers of the late minister and politician and indeed allegedly protected and rewarded them. Chief James Ajibola Idowu Ige, SAN (Yoruba: Bọ́lá Ìgè; 13 September 1930 – 23 December 2001), simply known as Bola Ige, was a Nigerian lawyer and politician. He also served as Federal Minister of Justice for Nigeria. He was murdered in December 2001. On 23 December 2001, Bola Ige was shot dead at his home in the south-western city of Ibadan. He had been entangled in squabbles within his Alliance for Democracy party in Osun State. The previous week, the long-running feud between Osun state Governor Bisi Akande and his deputy, Iyiola Omisore, had apparently contributed to the death of an Osun State legislator, Odunayo Olagbaju. The government of President Olusegun Obasanjo deployed troops in south-western Nigeria to try to prevent a violent reaction to the murder. Although various people were arrested and tried for involvement in the murder, including Iyiola Omisore, all were acquitted. As of November 2010 the killers had not been found. He was buried in Ibadan. In a speech at his funeral, he was quoted as saying that he was sure that Nigeria was worth living for but he was not so sure that it was worth dying for.